Over the Rainbow: It's here! 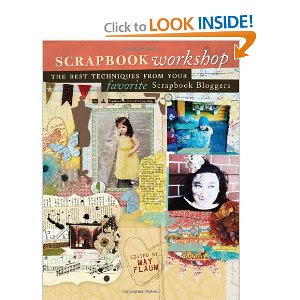 Scrapbook Workshop is available on Amazon right here! Back soon with a tall stack of layouts! ooooooo i LOVE scrapbooking mags. can't wait to get this one! I got my copy a couple of days ago and I was ECSTATIC to see you in there:) Great stuff! congrats keshet! i will have to check that one out! This is a great technique book. I really enjoyed it and I also found some great blogs through it. This looks awesome awesome. I have it in my cart! How cool is this! I must go check it out! congrats Keshet!!! Congratulations Keshet! That book looks amazing. Huge congratulations Keshet!..I will go and have a look!! Congrats! Looks life a fun book! A good book, I like it! can't wait to get this! There aren't so many scrapbook related books around these days :( How fun that you got to contribute!